Selecting "eSports Modes" will apply the below settings. 1. In a best of 3 series, the lower seeded team (furthers from zero) will host map 1. 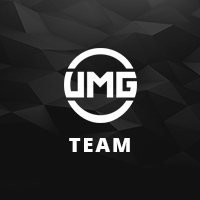 The higher seeded (closes to zero) team will host map 2. 3rd map host is awarded to the team who won more more rounds between map 1 & 2. If this score is tied, the higher seeded team will host 3rd map.The rotation of game modes is Hardpoint, Uplink, Search and Destroy for best of 3 matches. 2. In a best of 5 series, the lower seeded team will host map 1 & 2. The higher seeded team will host maps 3 & 4. 5th map host is awarded to the team who won more more rounds during maps 1, 2, 3, 4 . If this score is tied, the higher seeded team will host 5th map. The rotation of game modes is Hardpoint, Uplink, Search and Destroy, Hardpoint, Search and Destroy for best of 5 matches.